Proven Winners® Color Choice®. Newer dwarf form of 'Limelight'. Same flowers and coloration as Limelight in a smaller package. Large creamy white panicle blooms July to September. In August, blooms begin to tinge deep pink and green. Comparable to 'Limelight'. Proven Winners® Color Choice®. Blooms up to a month before other paniculata varieties. Flowers open white and turn pink, becoming dark rosy-pink in fall. Easy to grow, flower color not affected by soil pH. Flowers on new wood and will bloom after even the harshest winters. Vigorous, upright grower. Lacy white flowers tinted pale pink as the season progresses. One of the latest bloomers, from late September well into fall. Decidious. Dwarf oakleaf with white flowers that fade to pink. Beautiful fall foliage Cinnamon-colored bark in winter. Deciduous. Blooms open white and quickly mature to deep pink. Very large flower clusters contrast against dark green, deeply lobed oak like leaves which turn a brilliant mahogany in fall. Compact form well-suited for small landscapes. Deciduous. 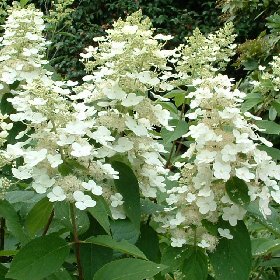 Elongated, conical clusters of white flowers which slowly turn pinkish-purple with age. Long late spring to summer bloom period. Upright grower with a broad, rounded habit. Distinctive oak-like, green leaves turn attractive shades of bronze, maroon or purple in autumn. Deciduous. The original was discovered in a block of Ilex convexa seedlings. A spreading evergreen with large convex leaves; it is hardier than other crenata varieties. Very good foundation plant. A compact and hardy evergreen, sheared into a mound. With its small glistening convex leaves, this holly is often mistaken for a boxwood. Low maintenance, prefers well-drained, slightly acidic soil. Great hedge plant that can be trimmed easily to desired shape. Broad upright habit. Leathery green leaves. 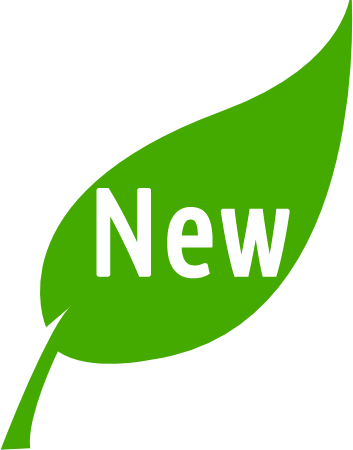 Drought and shade tolerant, pest and disease resistant. Flowers give way to black berries which attract birds through winter. Native to eastern US. Evergreen. A Pennsylvania Horticulture Society Gold Medal Plant. Compact grower with lustrous dark green leaves. Black berries attract birds. Very tolerant of shearing. Native to eastern US. Evergreen. Beautiful, glossy dark green foliage on dark stems. Male pollinator for Blue Princess. Very hardy evergreen. Excellent choice as hedge or background plant. 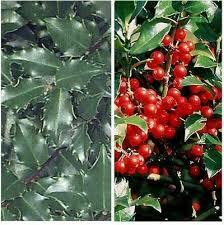 Traditional glossy holly foliage with prominent bright red berries. Forms a rounded upright plant. Vigorous grower, responds well to pruning. Very hardy evergreen. The red fruit attracts birds, especially in winter. Potted combination of an older Blue Princess and younger Blue Prince. All the benefits of the traditional pairing in one package.